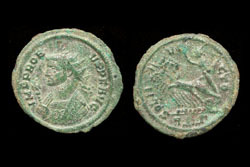 Æ 27mm/14.3gm; struck ca. 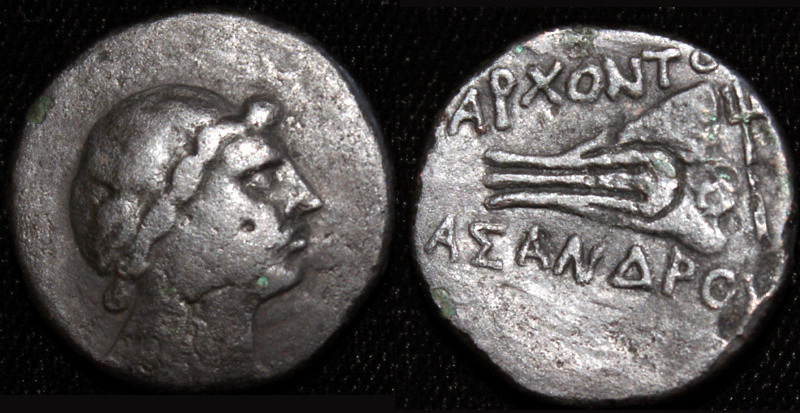 47-43 BC, Phanagoria City Issue. Obv/ Head of Apollo r., wearing laurel wreath. Rev/ Legend in Greek; Prow and trident. Con/ VF+ for the issue; dark olive-green patina. Very rare coin for a very low price.